After a nice round of thunderstorms last night, we are having an unusually cold and blustery day today. Looking out through the sliding glass doors to the backyard beyond, I am content to see fresh mown grass and tidy rows of new seedlings transplanted to the garden yesterday evening. Yes, there’s a million things I could be doing today, but I feel like I just need a day to rest and ponder what I just might get into next. There is so much to do this time of year. 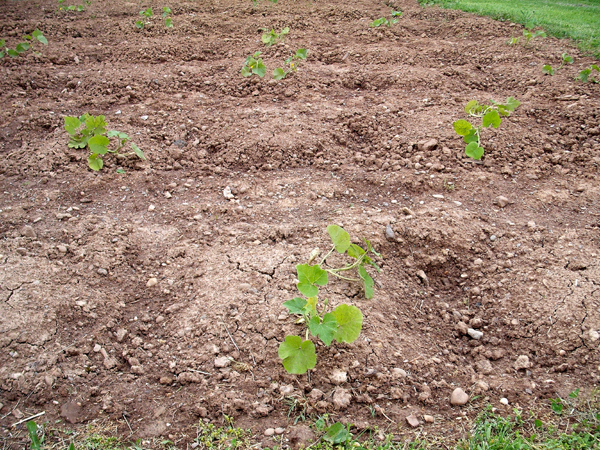 I still have more plantings to do in the garden, hopefully Monday if things dry out enough. With this wind, I’m sure they will. I woke up around, oh, I don’t know–I think it was 3:00am last night–in a dead panic. A second round of storms and high winds came through and I worried that the flat of pepper and eggplant seedlings I had set out just before bed were being pummelled by the high winds and heavy rain. I put all my seedlings on my front door steps on the north-eastern facing side of the house to harden off. This is usually a pretty good spot to do this, but I made the same mistake a couple weeks ago when I set out two flats of tomato seedlings and they were blown over by the wind. They did recover, but then a few days later I forgot to water them and they all dried out and fell over again. I watered them and they perked back up. Then my husband blew grass clippings all over them with the mower. I found them in time and shook the grass off and they revived once more. Tomato plants are tougher than you’d think, appearantly! I decided it was too late to run out there in my nightgown in the storm, so I laid back on my pillow and hoped for the best. Checking on them first thing this morning, I found them no worse for it and they handled the stress much better than the tomatoes did. 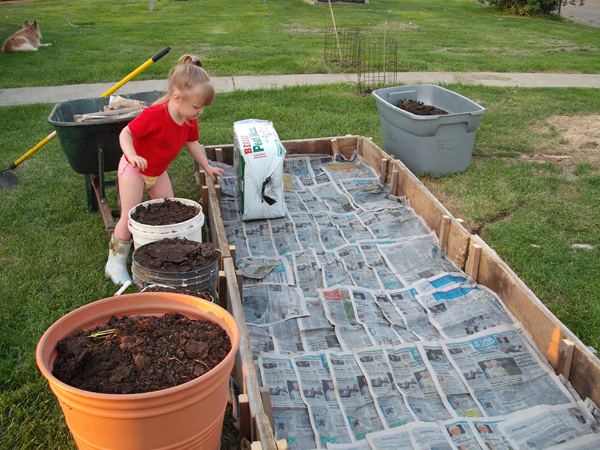 Yesterday evening Brandon and Ava helped me plant corn and squash (several varieties and also watermelon, pumpkins and canteloupe). This year I am trying the Three Sisters method of companion planting. We really love fresh corn, but I have been afraid that I cannot get away with growing it up here on this windy ridgeline. One of my neighbors grew corn last year and this encouraged me to at least give it a try. He has a line of trees west of his garden, which gives him a good windbreak. I have one big tree and a chicken coop, which is probably not enough. I think that using the Three Sisters planting will stand up better to wind and I am hoping that the beans will help anchor the cornstalks in place. That, or they will all blow over… We’ll see. I ordered some Appalachian heirloom pole beans this year from a website my grandpa suggested to me. This is a preservation society and the whole point in using their seeds is that you should save seed from your crop for yourself and to pass on to others. These are “real” green beans. The likes of which most people have never tasted (or if they have, it has been many, many years ago from their grandma’s garden). They are more tender and flavorful and are not suited to commercial plantings. I know I have never tasted a real green bean. I am eager to try them and hope to can many this summer. I chose 3 different varieties. 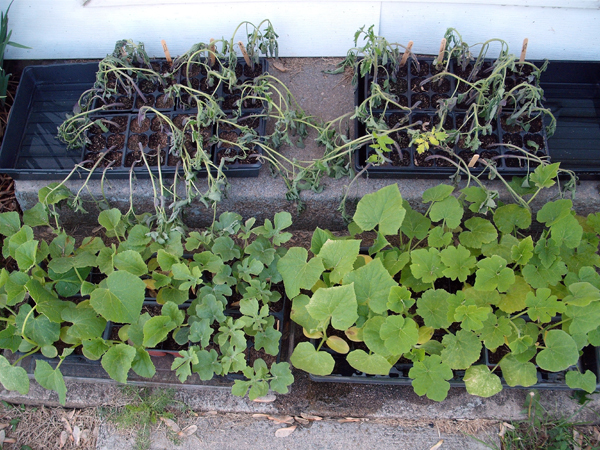 I will only plant one this year (to keep the seed pure) and the other two I will freeze and try in the future. I also have scarlet runner beans that I acquired in a trade online and I am excited about them too. I plan to plant them around front which should give them enough isolation from the others. They are ornamental as well as edible. The bean seeds are very pretty, black and purple. I am finding that my 2,500 sq. ft. garden is not quite large enough for my ambitions. I can’t expand it any further out in that location because I have a hillside on one end, an underground electrical wire on the other, the back of the garage on another side and a peach tree at the far end. I have to leave a path for the truck to come through with firewood too. The other side of my yard is taken up by the septic system. Can’t mess with that. So that leaves me a small section of side yard and the chainlink fence enclosed front yard. My plan now is to install 5 or 6 raised beds in a portion of the front yard. We put one in already for an everbearing strawberry bed. This could have been a post entirely of itself, but I never got around to it! I have yet to order any chicks this year and I feel like I am really missing out on something. I thought it might be better to wait a couple months so that butchering time would not coincide with garden planting and so many other things. I will probably go ahead and get maybe 20 straight-run Cornish-X. You can’t beat them for meat production. I have also done a little researching and have decided on Buckeyes for a dual-purpose flock. I have not been happy with my current layers and will keep trying new breeds until I am. The Easter Eggers are pretty and lay a nice blue egg, but it is not a jumbo egg like most people want when they buy fresh farm-raised eggs. I think I will always keep a few of them around because they are pretty. My hatchery Australorps are only suitable for chicken and dumplings, which is what I have planned for them as soon as I get some new layers in to replace them. If I like the Buckeyes, I would like to work with them as a breeder flock. If they don’t work out, I am going to try Delawares next. My goal is to never have to buy hatchery chicks again. I was hoping to check in on the bees this week, but never got a good day to do it. I need to see how my queen is laying and add on another honey super. I am wary that they will swarm here soon and I want to see what they are thinking along those lines. That’s just what they do and I don’t have the brain-power or determination to try to prevent it. It will be nice to have a second hive started too. I thought about requeening, but they are such hardy and gentle bees as they are, I do not want to mess with their genetics. I can only hope that they will land in my apple trees or my curly willow where I can easily reach them. I’ve not pushed them for honey production this year. I am just glad to have them for pollination right now. Keeping them alive and thriving is my only objective. Sometimes with these bees, I wonder if I have bit off more than I can chew. I have so many projects going right now. We are also hoping to add to our clan this year. I am pretty sure they don’t make maternity beekeeper suits. (Now we will see how many of my family members actually read my blog…haha.) I know that there are many beekeepers who don’t wear anything other than a hat and veil. I hope to be that confident someday! Well, I better run out and get the eggs and the mail. My husband and my toddler are up from their Saturday afternoon nap which puts an end to my blogging. Here is a quick slideshow of everything growing in my garden right now. It has been a heavily overcast day so I am surprised these pics came out so well. I did have to do a little Photoshopping to bring up the contrast though.